I have something really strange going on with may funhouse. when I got it it was trashed, replaced the mph and driver board with rottendogs and it cleared up all the issues it had and has played flawlessly up until the other day. 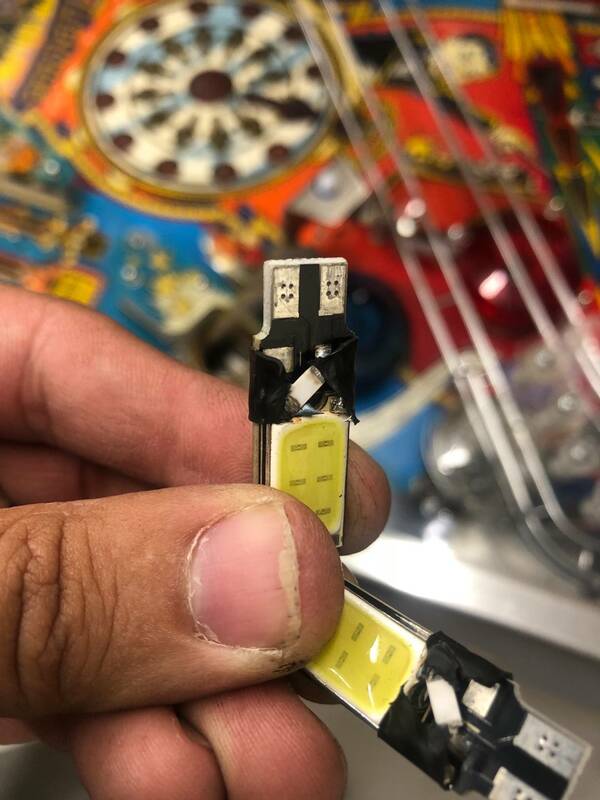 I have the game out on location and go to check on it and all the feature lights are out and all the solenoid fuses are blown. I looked at everything that I could and nothing felt hot or burnt. I replaced the fuses and everything played ok. 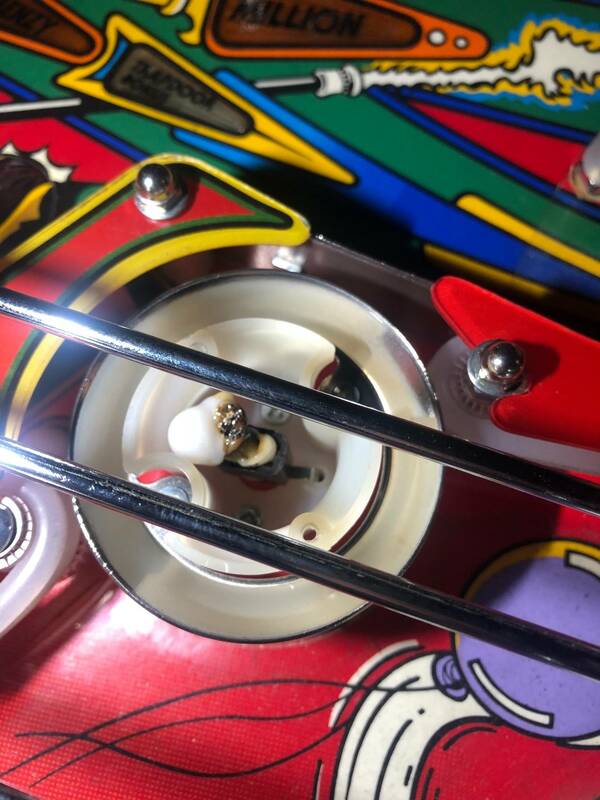 So I took the game home and started checking stuff out and found that every single controlled light was melted or started to melt and 2 of the white flashers basically blew up. Also rudy jaw isn't working any more and the Rudy optos and the staircase optos isn't working either. I took the boards out and looked to see if there are any burns or melted areas on it and everything looks fine. I have no clue where to start on this. Im not sure why there was such a huge voltage spike. The other games had no issues. When I replace the lights everything works fine. 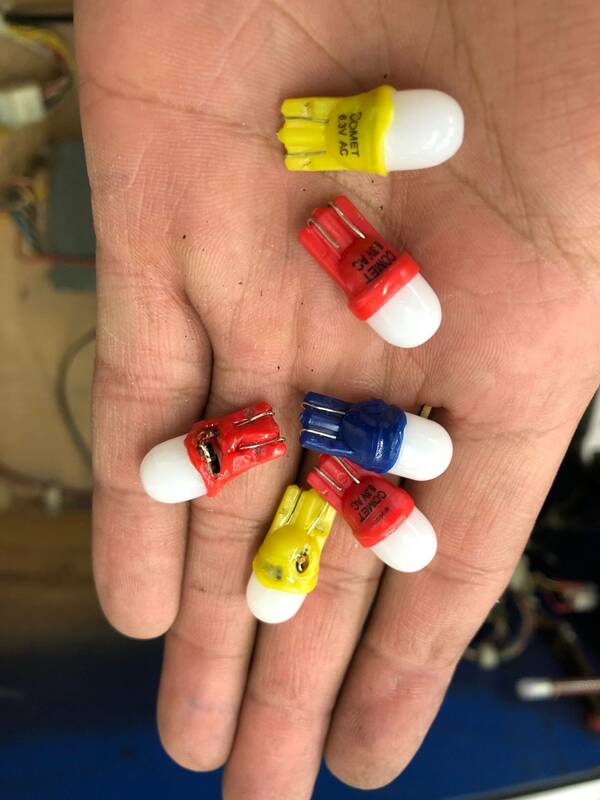 My understanding is that the fuse should have popped before it let the lights melt or is that the downfall to leds? I've literally never had a bulb melt before. Im wondering if something happened in Rudy to make this happen, or the opto board went bad or something. any advice would be greatly appreciated. Optos and mouth I'd assume you've lost 12V somewhere, have you checked those fuses too? Do you have some problem with rottendog or something? You seem to be blaming the boards with little evidence. 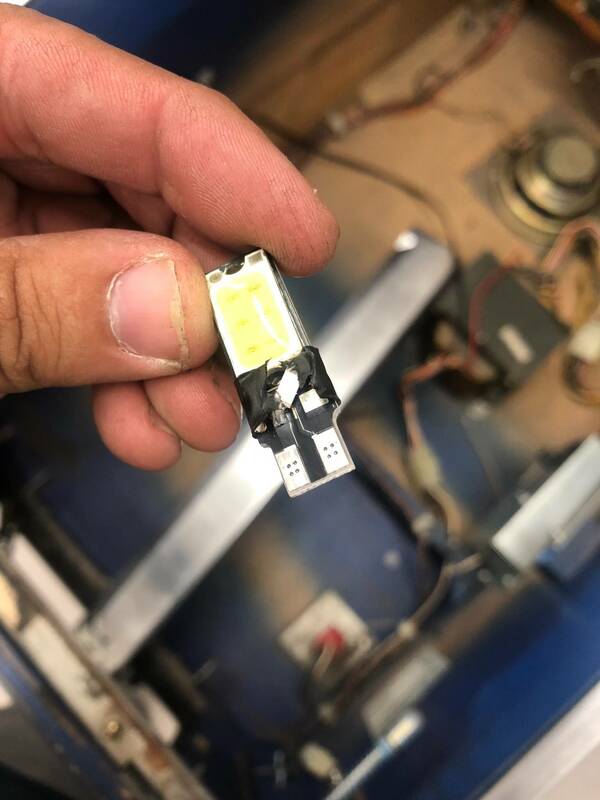 OP says the lamps work fine after they were replaced so they're clearly not locked on. Could something with the high voltge board at the bottom side of the pf be part of the problem with the optos and the leds? Possibly, if there was a short. 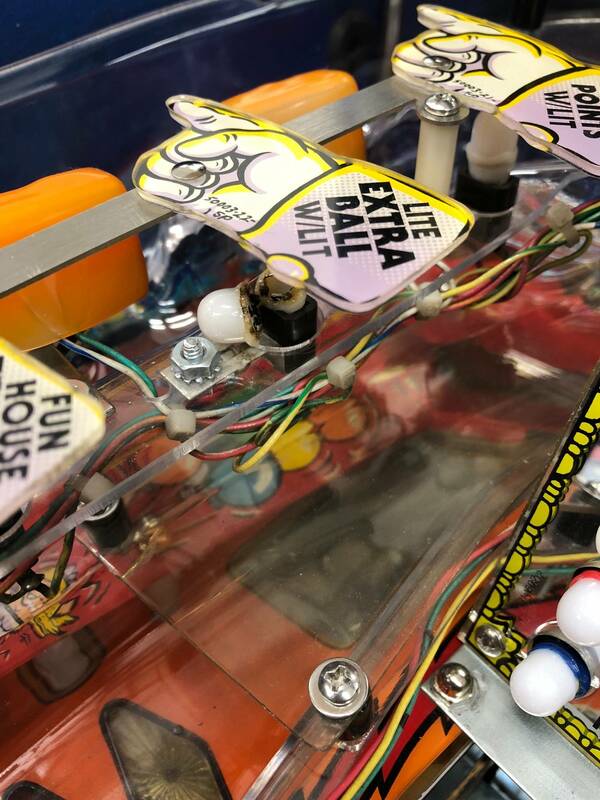 Do you have 12V regulated and unregulated at the test points on the driver board? I checked all the test points and everything was good. That’s what I don’t get. Some lights are melted more than others but if you replace them they work fine. I thought about something with the surge protector but if that was the issue wouldn’t the other games on that line have issues as well? It’s like there was a massive power surge but not big enough to do major damage. I necked all the test points and everything was good. That’s what I don’t get. Some lights are melted more than others but if you replace them they work fine. 117v, run it 24/7 for a week or run it on burn in for 24 hours. Any problems you have will show up. If it's good put it back on location and assume wall power overvoltage. Add whatever voltage protections you can get into the cabinet. When I replace the lights everything works fine. Have you checked the voltages in the game? Could the transformer be set to high tap? 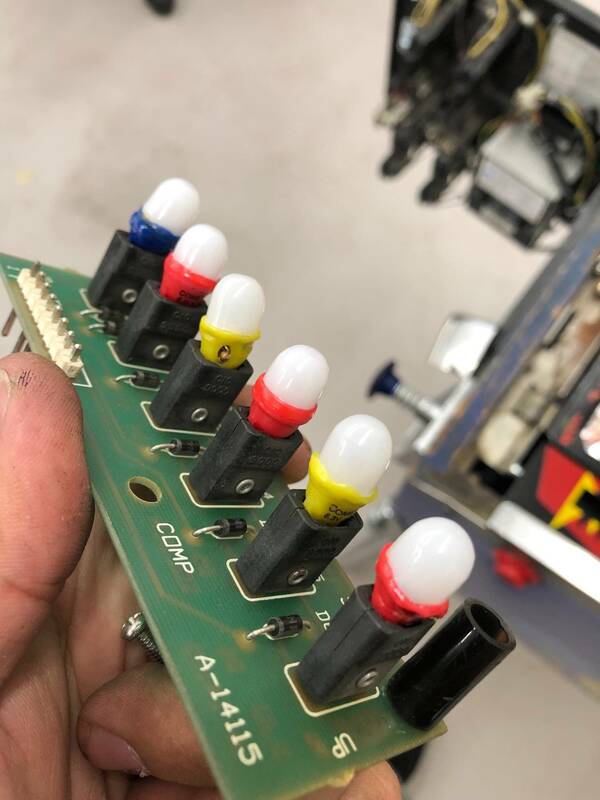 Do you have an led display and not removed the high voltage fuses? if the boards are bad its very relevant to troubleshooting the issue. Don't forget there is a motor control board for the jaw, it may have something blown on it. Tested the jaw motor with a 9v battery. Tests fine. No troubles. 74 volts DC is a normal reading for the 50 volt circuit. Q30 (sol#22) works together with sol#21. Sol#21 enables the mouth in one direction. Sol#21 + #22 reverses the direction. I would replace ribbons as well. Ive seen faulty ribbons cause issues similar to this. They are almost 30 years old and should be replaced. Small update. If I jump the Moro while the game is on it will work fine for about 3 times that Rudy talks. Then It stops working again. Well after replacing the optos and the high current driver board, there was no change in anything. Started looking into a lot of different things, basically anything I could that was related to the jaw and the optos. I found that the connectors on j116 and j117 were we’re folded over so there was not connection with the wire but it was holding the wire in. Everything is playing fine now just like it was. 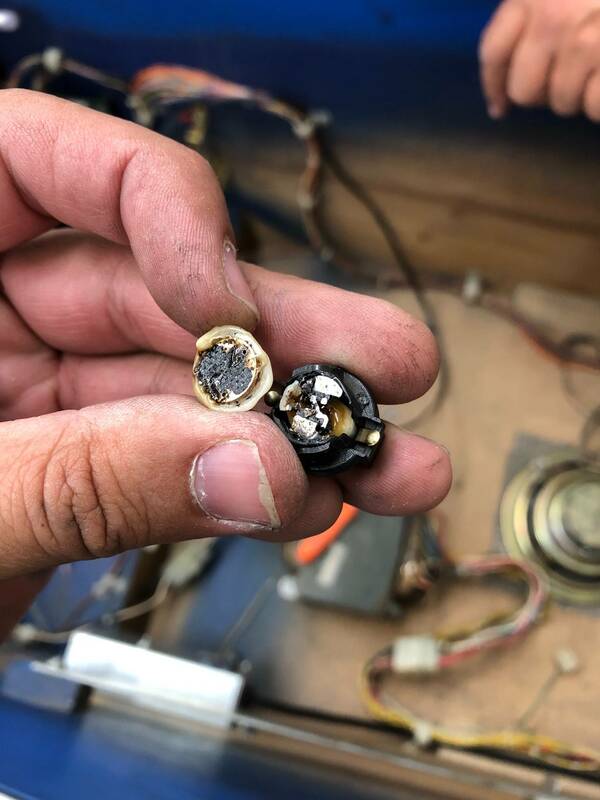 Still don’t know why lights melted and fuses blew though. you sure the lights are working normal. They don't seem overly bright by chance? what happens if you put original bulb in the socket. That would tell you more if the lights are not pulsing faster than a LED would. If they are indeed locked on, it's going to blow them all out.